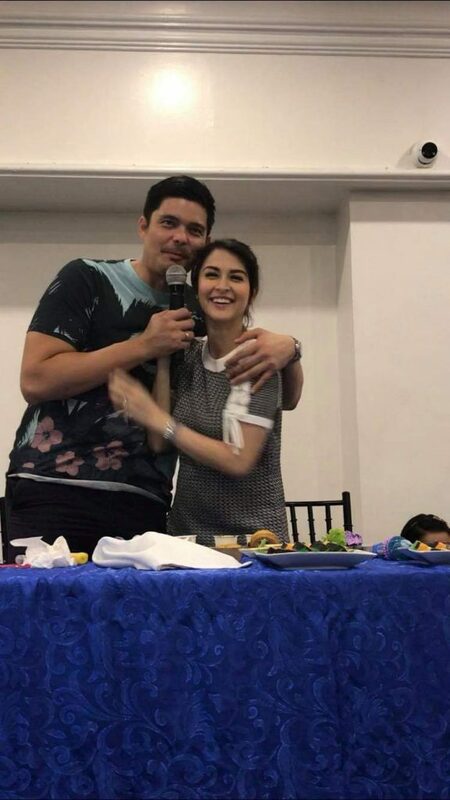 Here’s a kilig story during our Team Dantes Christmas Party 2018. When Marian was talking to the fans, Dingdong suddenly hold her hand while she was holding it. She tought Dingdong was trying to get the mic from her. So she told Dong, “Hindi pa ako tapos” [I’m not done yet.] But Dingdong told her he just wants to hold her hand, “Gusto ko lang hawakan yung kamay mo.” Fans errupted in kilig. Then Marian who’s also kinikilig told Dong, “Wag ka nga diyan! Kinikilig ako!.” [Stop it! I’m shivering] Dingdong even hold her tightly. Marian was so excited to invite everyone to watch Fantastica. Dingdong’s movie with Vice Ganda for Metro Manila Film Festival. Marian also invited fans to continue to watch Cain and Abel. While Dingdong said that Marian will have a special role in Fantastica. What a supportive wife. Here’s the super kilig video.